Story: In lieu of the norm and the alternative to convention, the A.L.T. goggle can better be described as the alternative lens thing. This extraordinarily lightweight apparatus is frameless by design, utilizing a polycarbonate toric lens for its structure as well as providing the exceptional peripheral and vertical field of vision. Contrary to set standards the molded tri-density face foam provides previously unimaginable wicking and comfort, suitable for a medium to large head and can be worn with or without a helmet. 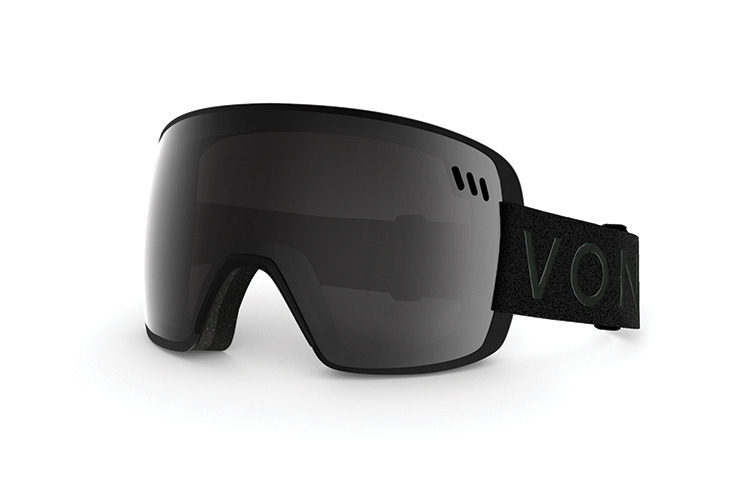 Defy tradition and be a nonconformist in this abnormally awesome goggle/sunglass hybrid. Specs: Extreme light weight frameless design. Dual polycarbonate toric lens. 100% UV protection. Uber maximum peripheral vision. Forward venting for maximum air flow. Polar fleece triple density molded face foam. Glaricade anti-fog and hard coated lens. Molded polyurethane nose guard. Lightweight dual adjustable strap. Helmet compatible. Dual sleeve microfiber bag.